Although there are many reasons we love basking in the sun (the benefits of vitamin D, achieving a golden tan, and that mood-enhancing feeling to mention a few), it’s important to be cautious of over-exposure. Aside from the obvious risk of a painful and blistering sunburn, over-exposure to the sun’s harmful UVA and UVB rays can also cause premature aging and significantly increase your risk of skin cancer. Wearing an SPF every day, especially when outdoors in the summer months, is essential to keeping your skin protected. • Wear a full-spectrum sunscreen every day - with a minimum SPF 15. The longer you will be outside, the higher the SPF should be. Full spectrum sunscreens protect you from both UVA and UVB rays. • Apply sunscreen 30 minutes before sun exposure. • Re-apply every two hours (or more frequently if you are sweating or swimming). • Apply more generously to the areas of the body that are most exposed to the sun and at higher risk for burns (nose, forehead, chest, shoulders, back, arms, legs). • Wear a sunscreen lip balm to protect your lips. • If wearing cosmetics on your face, choose products that also contain SPF (in addition to your sunscreen). • Wear sunglasses and hats whenever possible. • Avoid the sun between 11:00 AM and 4:00 PM whenever possible. Jasmine is no stranger to the spa and wellness industry; with over 20 years of experience ranging from a Registerd Massage Therapist to a certified Aesthetician and reflexologist, Jasmine is very knowledgeable about skin care and relaxation. 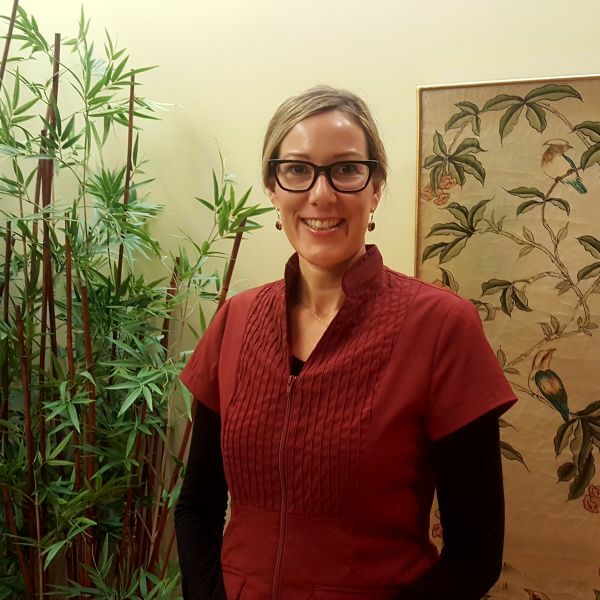 Jasmine is no stranger to the spa and wellness industry; with over 20 years of experience ranging from a Registered Massage Therapist to a certified Aesthetician and reflexologist, Jasmine is very knowledgeable about skin care and relaxation. With winter weather upon us, we can expect our skin to change with the seasons and it is important to understand your skins needs to help prevent aging. Come see Jasmine for all of your skins needs. Regular monthly skin care is important and Jasmin recommends feeding your skin the nutrients it needs, and maintaining it with a homecare regimen to maintain your results. 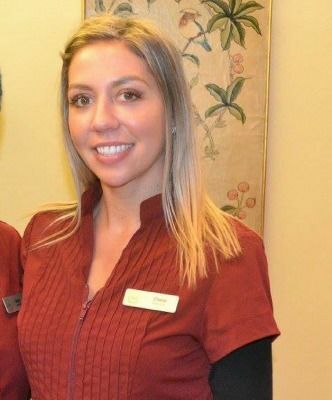 Jasmine previously worked for one of our other spa properties before joining The Spa Ritual, and loves out philosophy of environmental sustainability, our product lines, and being a part of a company that “strives to make life a little easier for its guests.” Says Jasmine. Receive 20% off a 90 minute Customized Facial with Jasmine until November 30. As the snow starts to fly and the holidays get closer, our couples treatments become more popular as a way for guests to escape the hustle and bustle of the season. In couples treatments, two people can receive treatments in the same room, at the same time, by two different therapists. With your days numbered until the New Year, ensure you are booking your appointments with us today! As a Registered Massage Therapist of 8 years, Amanda has always loved massage therapy. A graduate of Mount Royal University, she loved human anatomy and wanted to make a positive change in peoples lives, which is why she chose to become an RMT. The Spa Ritual now offers cupping, and Amanda is thrilled to be able to offer this service to her guests. Amanda enjoy performing cupping as guest can feel the results of this treatment right away. Here at The Spa Ritual, we utilize silicone cups for the treatment instead of glass cups to create suction, to loosen muscles and increase blood flow to the area. What is a Jessner Peel? 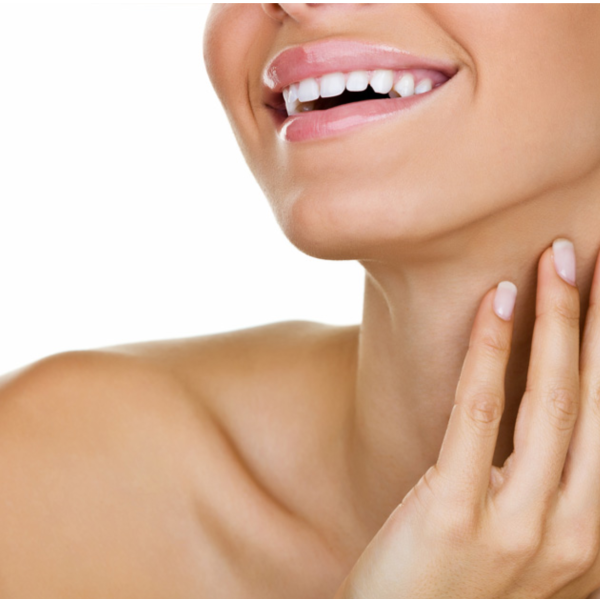 The Jessner Peel was originally formulated by Dr. Max Jessner and has been in use for over 100 years. Created as a mix of resorcinol, salicylic acid (a beta hydroxy acid) and lactic acid, the Jessner peel can be adjusted in strength for first time user to those who regularly have peels. It is used to treat photoaging, age spots, acne, post-inflammatory hyperpigmentation, melasma and freckles, and depending on the strength of the peel may cause some mild peeling. The Jessner Peels at the Spa Ritual offer the synergistic boosting effect of 1% retinol. Save 20% until October 31 when booking a Grounding Thai Foot Ritual with Steve. Receive 20% off the Grounding Thai Foot Ritual Massage with Steve - only until October 31. This 13 year veteran in massage therapy has always liked focusing on working out the kinks, and this October Steve sat down to tell us about his favourite treatment at The Spa Ritual - the Grounding Thai Foot Ritual Massage. This stress-relieving experience is inspired by traditional Thai foot massage. Ginseng, Ginko and stimulating Bamboo help increase circulation and remove impurities. A massage of the lower legs and feet involves a variety of traditional techniques including graceful, two-handed palm movements and acupressure utilizing a Thai Mahogany stick, to stimulate the reflex points on the feet.
" People don't' always think of their feet when it comes to massage, but it is important to realize that problems in the body often originate in the foot." says Steve, who trained at Makami College in Calgary. Your foot is what hits the ground first - like the game Jenga - if the base is not solid, you fall over." Steve takes a technical, focused approach to foot massage, working from the bottom up to knee to stimulate blood flow and using a system of touch to promote a healthy state of balance for the foot. Steve recommends that after a massage, to follow up with stretching exercises, as the benefits of massage will last longer and result in less discomfort after. Massage is also recommended before a chiropractic or physiotherapy treatment, as it will loosen you up and the adjustment will last longer. Book your next Grounding Thai Foot Ritual with Steve in October and save 20%. UH OH, YOUR MASSAGE BENEFITS ARE EXPIRING. Tis the season for warm sweaters, cool breezes, pumpkin spice - and using up those massage benefits! Did you know? The Canadian Life and Health Insurance Association estimates over 23 million people, or 67 per cent of the population have extended health care benefits – but only 27% are using their registered massage therapy extended health care coverage. Treatments such as registered massage therapy can be a life changer for people who deal with various conditions such as: back pain, stress , anxiety, arthritis and pregnancy aches and pains. Most extended health insurance programs cover these treatments yet only a small percentage of eligible individuals actually take advantage of claiming their extended health benefits. All extended health benefit plans are designed differently. If you want to learn more about your benefit plan coverage you can refer to your company employee benefit booklet or contact your insurance provider directly. 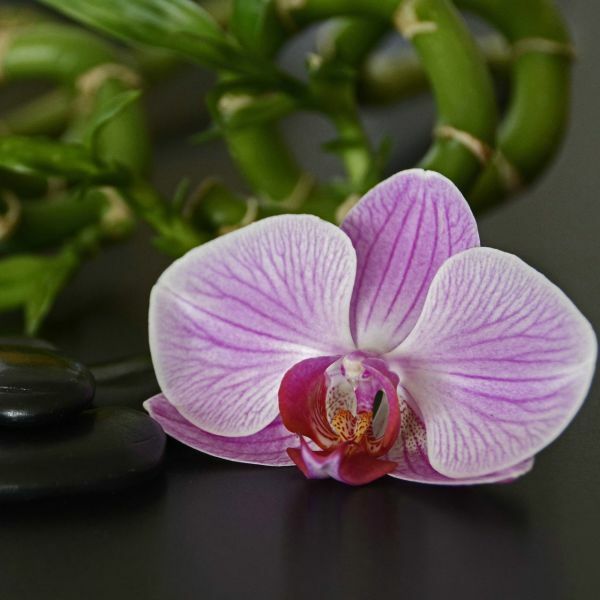 The Spa Ritual can provide you with a receipt for your insurance needs, please specify that you require a Registered Massage Therapist and insurance receipt when you book your treatment. Don’t wait to go on a year-end benefits binge in December! Let us help you maintain a healthy lifestyle by pre-booking your massage therapy appointments to avoid disappointment. Call 403.547.9558 or book online today! 20% OFF MAKEUP LESSONS WITH JUSTINE IN OCTOBER Click here to book and receive 20% off any makeup lesson with Justine. 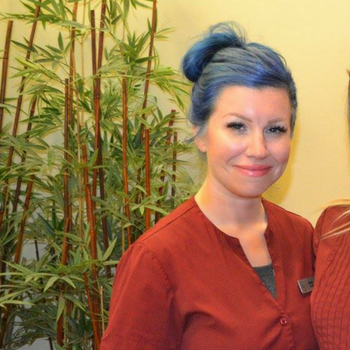 This aesthetician is no stranger to helping people – Justine was enrolled in nursing school before she came to work for The Spa Ritual. After beginning studies in nursing Justine made the choice to switch gears and study aesthetics at the Delmar school for Aesthetics. “Life takes you in a different path sometimes, and you fall in love with it.” Justine said. 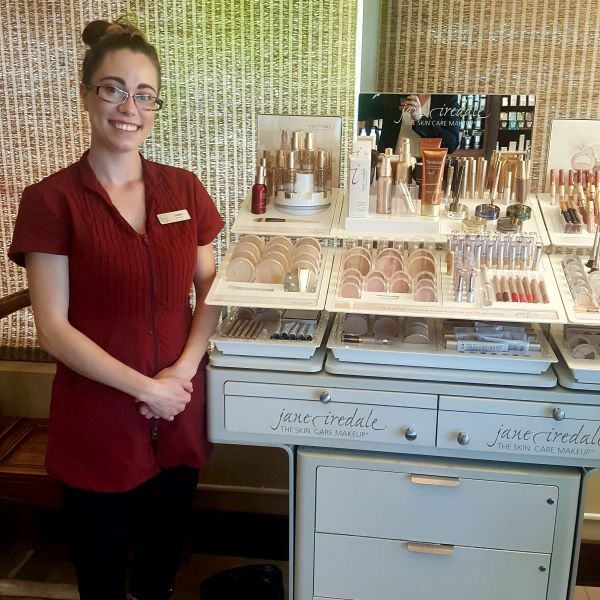 Justine is a trained Aesthetician and Jane Iredale makeup specialist, and loves teaching people techniques tailored to enhance their features as opposed to what is online. Using Jane Iredale mineral makeup, Justine shows guests how to create a beautiful daytime look, and with a few quick tricks take it to a more glamorous evening look. “What many people don’t realize though it that they spend money to take care of their skin, and then use makeup that blogs their pores or reverses the effects of their skin care products. You need to make them all work together for you, not against you. Jane Iredale is a great choice as it is light, doesn’t clog pores, and enhances your skin.” Says Justine. 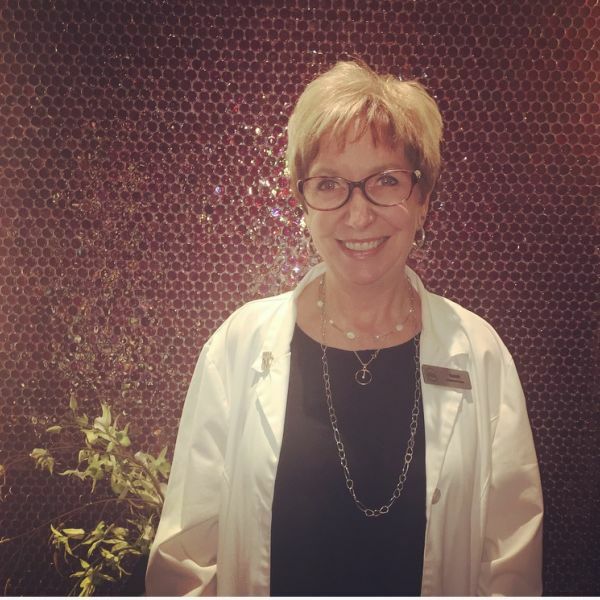 One of her favourite treatments to perform at the spa, aside from makeup, is a facial as it allows her to educate guests on taking their skin care to the next level. As a mom herself, she especially loves connecting with moms at the spa, providing them a place to relive stress, solve their skin issues and be the best version of themselves. Justine is a valued member of our team who is passionate about helping people feel beautiful and perfect just the way we are. * Promotion cannot be combined with any other promotion, discount, third party gift cards or coupon. If you've never experienced a spa body scrub, Macey, Aesthetician at The Spa Ritual, explains why a scrub is definitely worth trying. Plus, receive 20% off body scrubs with Macey in July! Click here to receive 20% off a Body Scrub with Macey in July. Before Macey was an aesthetician at The Spa Ritual, she ran her own aesthetics business from home while raising her small children. But as her children grew older, she felt comfortable going back into the workforce and decided to join The Spa Ritual aesthetics team. Although Macey has a knack for eyebrow waxing (an art form she claims is her niche), she also feels that body scrubs are a treatment that encompasses all of the elements of a fully relaxing spa experience and recommends it to Guests often. Macey often incorporates the essential oil, wild into her scrubs. She says that almost everyone who experiences the therapeutic scent loves its refreshing and calming benefits. She is also very fond of the Lemongrass body lotion (used in all body scrubs) that is exclusive to The Spa Ritual because it has a soft scent and doesn’t leave behind a heavy or greasy residue. At The Spa Ritual, we offer three types of body scrubs: the Skin Perfecting Body Scrub, the Slim and Detox Body Scrub, and the Ritual Rejuvenating Wrap (which includes an infrared-heated body wrap treatment). Click here to learn more about our scrubs. With an education in EMS and special training in chronic pain therapy, Courtney, RMT, incorporates her knowledge of health care into her practice - helping clients work through their chronic pain. This month only, receive 20% off a Therapeutivc Massage with Courtney. Click here to receive 20% off a Therapeutic Massage with Courtney in July. When Courtney, RMT, began her career search over five years ago, she knew she was interested in pursuing a career that was health care-related. This led her to simultaneously pursue educations in both massage therapy and EMS. Ultimately, she found massage therapy to be a more enjoyable and relaxing occupation. What she found most fulfilling about it was being able to help people feel better and work through their pain. In order to find the exact area that needs to be worked, Courtney runs her thumbs and elbows along the muscle until she feels a road block or bump. She then works on that area to increase blood flow and help reduce the pain. In her chronic pain course, Courtney learned how to incorporate breathing techniques, tai chi, and yoga into pain management. Tip from Courtney: When experiencing muscle pain, it can be helpful to focus on your breath and allow yourself to accept what you are feeling and acknowledge the pain, but not dwell on it. When you dwell on the pain, it can cause you to perceive it as more severe than it really is. Massage therapy can help with pain management as it releases hormones, oxytocin, and endorphins - calming the body and decreasing adrenaline. Note: Please consult with your doctor before using massage therapy as a form of chronic pain management. Prolonged exposure to UVA and UVB rays can weaken the lower layer of the skin, causing wrinkles, brown spots, and increasing your risk of skin cancer. 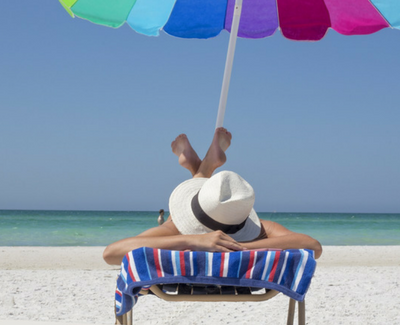 Avoid over-exposure with these sun protection tips. 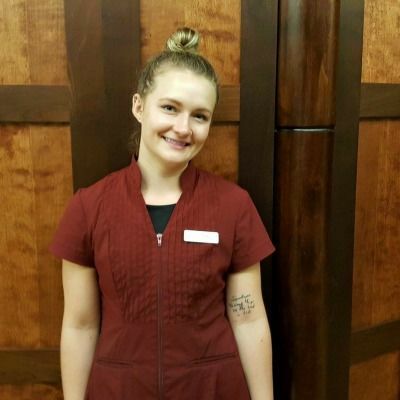 Helping people feel better, relax, and leave the spa in a better state than when they arrived are some of the things Kaytlyn loves about being a massage therapist. 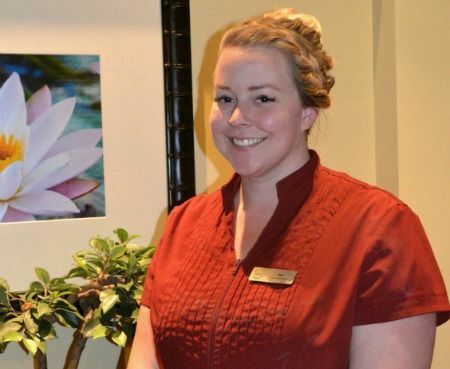 With her massage training obtained from Lethbridge College, Kaytlyn has been a Massage Therapist for over three years and has been working at The Spa Ritual for a year and a half. Kaytlyn performs all of the massages at The Spa Ritual, but the Therapeutic Massage is one of the most popular. Generally, the Therapeutic Massage treats the whole body, but more often than not, Guests will ask Kaytlyn to focus on a specific area of concern. Therapeutic Massages can be booked as 60-minute, 90-minute, or 120-minute appointments. Kaytlyn recommends adding a hot oil scalp massage enhancement to the treatment to help achieve a deeper level of relaxation. One of her favourite products at The Spa Ritual is the Japanese Mint Oil. As a headache remedy, she recommends applying it to the back of the neck. Within 10 minutes, the pain usually subsides! 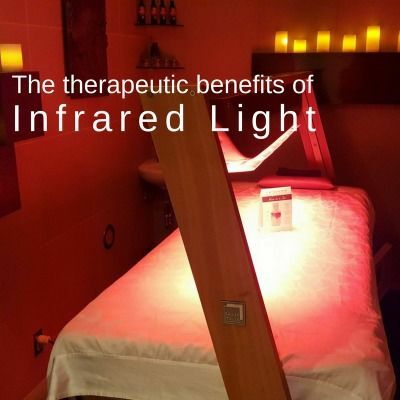 Research has shown that infrared light therapy can have a positive impact on your health and overall wellbeing. 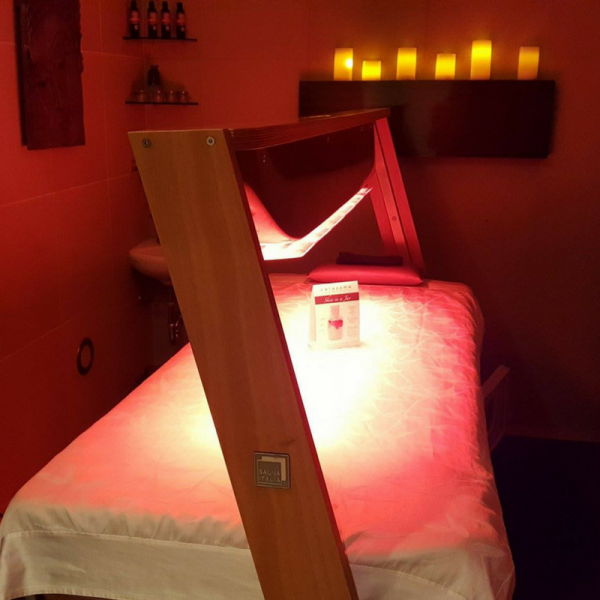 At The Spa Ritual, we provide treatments that utilize infrared light and heat to make the most of your spa experience. Considerations: Though inInfrared has been shown to have health benefits for many, caution should always be exercised – especially when exposing the body to excessive heat during pregnancy and in the senior years. Contact your health care provider before beginning a regime of infrared exposure to assess if it is right for you. With a holistic approach to skincare, Cheryl provides a full spectrum of aesthetics services at The Spa Ritual. Because of the amazing list of added benefits, her personal favourite is the Microdermabrasion Facial. 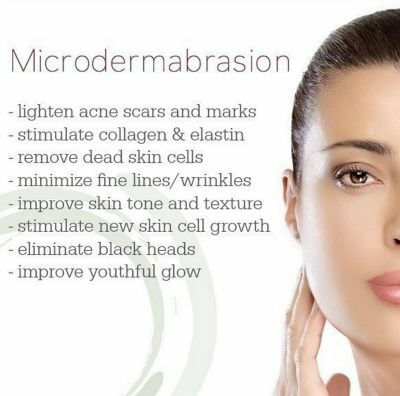 Interested in booking a Microdermabrasion Facial with Cheryl? Book online using promo code “MICRO20” to receive 20% off in the month of June! Cheryl, aesthetician at The Spa Ritual is a big fan of micro and recommends it often. The DiamondTome Microdermabrasion system is a more modern technique than the traditional crystal microdermabrasion system that blasts tiny crystals against the skin – leaving behind a crystal residue. Alternatively, the DiamondTome exfoliates the skin using a wand with an abrasive diamond tip. For best results, scheduling in three treatments over the span of three weeks is a great start, followed by maintenance treatments once a month. One of the additional perks of a microdermabrasion treatment at The Spa Ritual is that it takes place in a relaxing spa setting. The facial is 90-minutes long and begins with a microdermabrasion exfoliation treatment and is followed by a relaxing facial massage and a hand and arm massage. Guests also have the option to choose a 30-minute version that does not include massage. Cheryl believes in taking a holistic approach to skincare - treating the skin from the outside, but balancing it from the inside as well. When consulting with Guests regarding their skincare concerns, she often takes the opportunity to educate them on internal and external skin care practices. Give your mom the gift of relaxation and pampering this Mother's Day by treating her to a stay-cation she will never forget! These mom-friendly spa packages will give her the royal treatment she deserves. Mother’s Day is just around the corner! If you aren’t sure what to get your mother this year, sending her to the spa to enjoy some time to herself is the ultimate way to show her she is cherished. At The Spa Ritual, we know how much moms deserve a break – which is why we’ve highlighted some of our ideal spa packages and individual services that would make the ultimate Mother’s Day gift. And don't forget that mom will also have access to our relaxing spa amenities! To make it even easier click here to purchase a gift certificate online and print it right from home! This is a fantastic spa package for busy moms who need some serious relaxation time. The package includes her choice of a 90-minute Sabai Relaxation or Therapeutic Massage and an Anti-Aging, Matcha, or Ultimate Hydration Facial. To elevate her experience, a Signature Smoothie is included. Mom will be pampered from head to toe with a Hydrating Facial, Ritual Spa Pedicure, a 60-minute Sabai Relaxation or Therapeutic Massage, and of course, a Signature Smoothie! Because every mom will have her own unique preferences and needs, choose between these suggested treatments below to create the perfect spa experience - customized just for her. This signature treatment begins with a warm full body exfoliation followed by the application of a specialized heated body wrap designed to re-mineralize and detoxify; balmy infrared rays amplify this deeply relaxing, rejuvenating therapeutic experience. This mom-friendly treatment is a customized soothing and balancing facial that helps calm and hydrate the skin while reducing redness and hypersensitivity. Perfect for moms who need to de-stress, the soothing heat from warm basalt stones draws tension and stress from muscles while improving circulation. This massage is designed to nurture the expectant mother and baby. Effleurage and light petrissage are used to alleviate tension and improve circulation in the feet, legs, lower back, hips, and neck. Skin nourishing cream is applied to the tummy and hips (this service is performed only after the first trimester). A lemongrass and sea salt soak purifies and detoxifies the feet, followed by the removal of rough skin and calluses, nail shaping, cuticle grooming and a stress-relieving foot and lower leg massage. Tip: Combine with a Lemongrass Manicure for a lovely man/pedi experience (45 mins, $65). Originally from Colombia, Monica has over eight years of experience in massage and has developed some of her own therapeutic techniques. We asked her to tell us what her idea of the ultimate massage experience is - and it sounds ah-mazing! As a former physiotherapist from Colombia, Monica’s massage style is inspired by her therapeutic physiotherapy background. 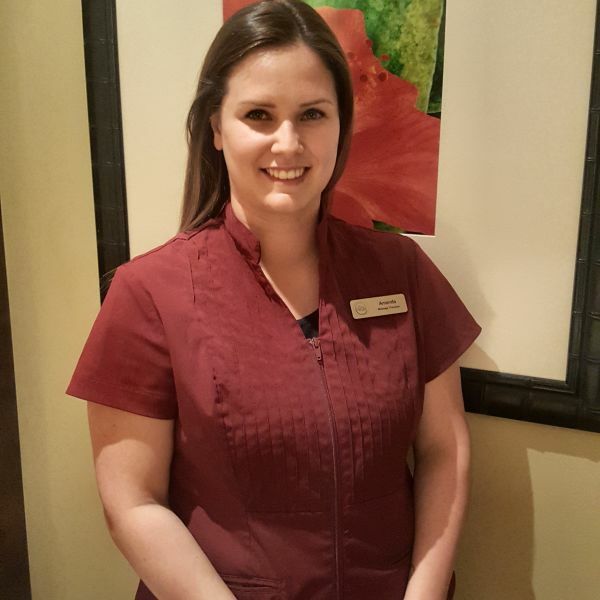 Her favourite massage to provide at The Spa Ritual is the deep tissue Therapeutic Massage that helps to increase mobility, ease pain, and relieve muscle tension. 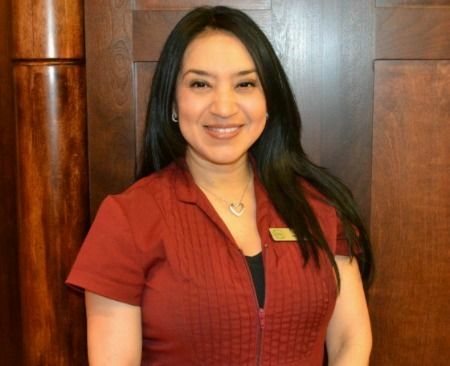 When asked about what she enjoys most about being a part of The Spa Ritual team, Monica says, “everything.” She loves her job and enjoys being in contact with people every day, which is why Guests have been known to request her every time they visit the spa for a massage. Even business professionals who come into town on business trips will specifically request her every time they are in the country. Since Monica has the inside scoop, we asked her to describe her version of the ideal spa massage experience at The Spa Ritual - and it does not disappoint! Arrive half an hour before your treatment and relax in the Bali Sanctuary where you can warm your body and increase circulation on our infrared-heated stone chaise loungers. Enjoy a Lemongrass Back Scratch enhancement to exfoliate your back before your massage. Relax and relieve tension with a Therapeutic Massage (for those who prefer deep-tissue) or the Thai-Inspired Herbal Massage (for those looking for relaxation). A must-try: Indulge in a Hot Oil Scalp Treatment enhancement. Moroccan Oil is used to hydrate and treat your hair and scalp. A hot towel is applied to increase circulation and then a 15-minute scalp massage completes the treatment. Finish off your spa experience by relaxing in the Infrared Sauna to help the body flush out toxins while promoting mind-body relaxation. Interested in booking a Therapeutic Massage with Monica? Click here to save 20% when you book before May 31st, 2017. Having trouble with the above link? Book using promo code "Monica20" by clicking here. After overcoming her own struggle with acne years ago, Jen now uses the education and information she has gained over the past 10 years of her aesthetics career to help others transform their skin and improve their self-esteem. What a fantastic leader for our aesthetics team! Jen Chomick, our lead aesthetician at The Spa Ritual is passionate about helping those who struggle with skin issues, especially acne. She also specializes in anti-aging treatments and oncology aesthetics. Everything changed when Jen began her education at the European Institute of Aesthetics in Edmonton. It was there that she was able to learn about the chemistry of the skin, the different layers, how they work, and what types of products and ingredients should be used on specific skin types. Being introduced to proper skincare helped her find the right routine and products for herself, too. Today, Jen finds fulfillment in leading the aesthetics team and helping Guests learn how to properly care for their skin concerns. Jen’s acne tip: Scrubbing acne can irritate your blemishes and cause them to spread. She recommends using an AHA or BHA exfoliant as an alternative. Her product line of choice for home care is Celazome. Due to its effectiveness, slow-release technology, botanicals that nourish the skin, and retinol for skin cell turnover, Jen is a firm believer in the brand. Her favourite spa service to provide is the 90-minute Anti-Aging Facial because it gives her more time to focus on the skin. The longer treatment time also allows the Guest to enjoy a luxurious massage, deeper cleanse, and double exfoliation. Interested in booking a 90-minute facial with Jen? Click here to save 20% when you book before May 31st, 2017. Having trouble with the above link? Book using promo code "Jen90" by clicking here.